The historical Caribbean and Africa come to life in this cleverly constructed but somewhat overwritten tale. And so do contemporary Chicago, London, Montreal, rural North Carolina and Illinois as Jackson-Opoku invents a lineage of African daughters who scatter like seeds in the wind, spanning the Old and New Worlds and almost three centuries. Even afterlife in the Great Beyond is rendered, as ancestors worry over their earthly daughters and try, sometimes in vain, to guide their loved ones toward the correct path. Strange twists of fate and spooky coincidences tie twigs and branches of the family tree together in a decidedly nonlinear fashion, while heavily symbolic leitmotifs tend to weigh down the narrative. Each woman is inexplicably drawn to water, in one or another form: rivers, oceans, mother's milk; and blood, sweat and tears. Textiles (Kente cloth, needlepoint, crazy quilts and beadwork) are another source of narrative coherence. Overseeing all, like the novelist herself, is Ananse the spider, master storyteller of African lore. It is through his observations as ""the world's greatest watcher, the one overlooked in corners"" that we learn the fates of generations of women. BOMC alternate and QPB featured selections; author tour. 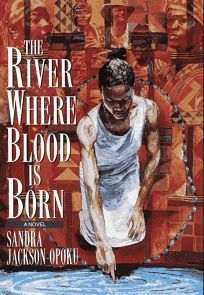 (Sept.) FYI: Inspired by a trip to Africa in 1975, Jackson-Opoku spent the next two decades working on this novel.